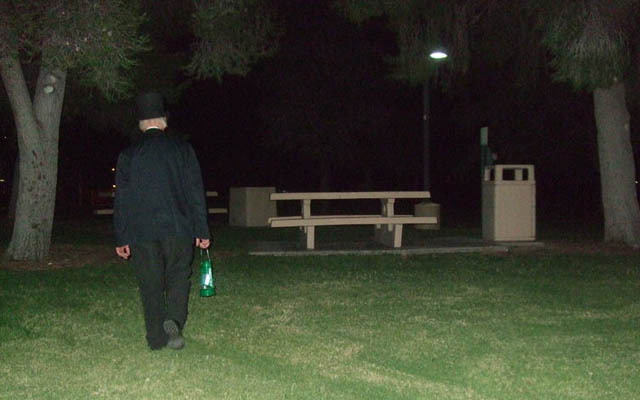 Get spooked when you go on the "Haunted Vegas Tour". This exciting tour begins when you head out with your tour guide, the mortician. If that is not creepy enough, perhaps the "spooky music" will give you a fright. Your guide will lead you around through the most disturbing places in the city. You will drive from homes to hotels on the Strip. As you experience the excitement that is building from each destination, your tour guide will fill you in on all the eerie details of each location. This is Las Vegas, as you have never seen it before. You will be able to see where murders, suicides, and other unspeakable events have occurred. It is said that many of the spirits that died here remain here. 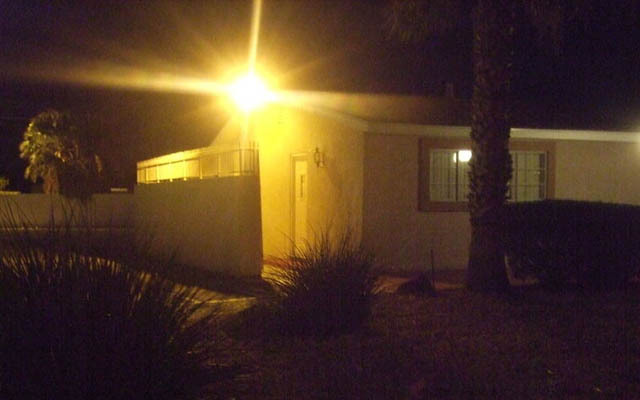 Do you dare to return to these places, or will the Haunted Vegas Tours truly frighten you away for good. Robert Allen will be your mortician on this tour. 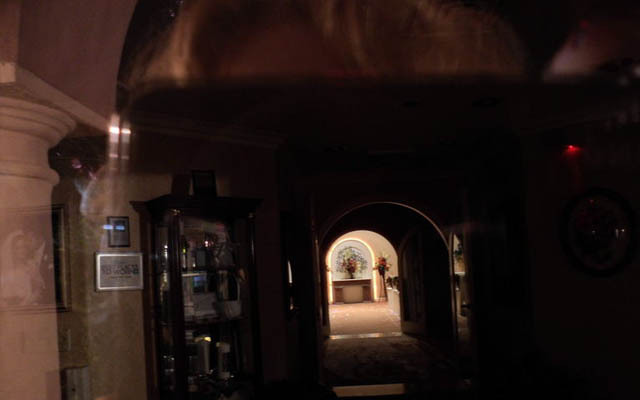 Allen works for Twisted Productions and uses the book Haunted Nevada by Janice Oberding, as the reference to the tour through all of the most fascinatingly spooky spots in Las Vegas. On your tour, you will travel through 16 of the 21 haunted sites listed in this book allowing you to truly get a feel for Las Vegas at its creepiest. 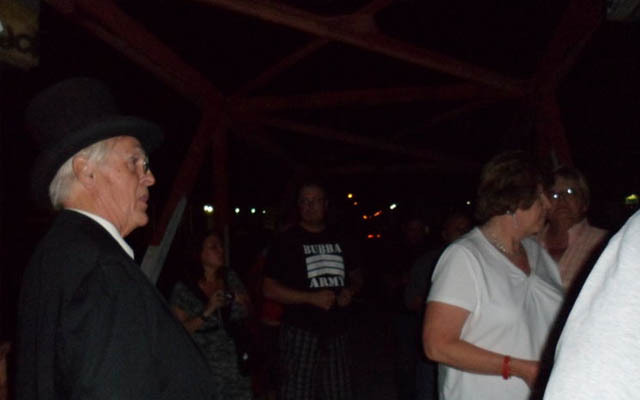 One of the most popular ghost sightings is none other than Elvis! He has been sighted at the Las Vegas Hilton by more than just the stagehands who work there but also by Wayne Newton. This is the hotel where Elvis made his Las Vegas comeback so it seems fitting that the King might just hang out here from time to time! Other famous ghost sightings include Tupac Shakur on the balcony of his Las Vegas home, Liberace at Carluccio’s Tivoli Gardens (which were once his Tivoli Gardens), Redd Foxx (whose ghost is known to play pranks) at his house, and Bugsy Siegel at the Flamingo Las Vegas. 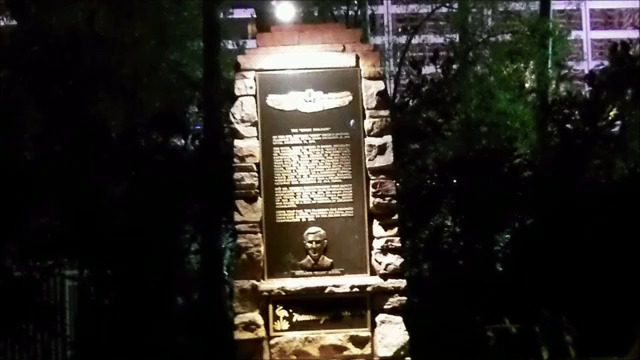 I visited the Haunted Las Vegas Tour on September 20. The tour was for three overseas guests (Europe and Asia) and myself. The tour operator, Tina, came at 9:20PM. Immediately, she informed us that the tour bus had broken down. About half of the 22 guests were not able to get on board because Tina's replacement bus accommodated 11 people only -- poor organization. Tina started the roll call. Several guests, including us, were not on the list. Thereafter, active listening was a problem for Tina all through our heated conversation. Tina did not let us onto the bus because capacity was limited due to Tina's poor Plan B. She told us, and several other customers, that we could return in 3-5 days when the bus was fine; yet, considering that most visitors to Las Vegas are from out-of-town and overseas, how is this possible? My overseas guests, I, and others, left with nothing. I got a refund. Since the tour incident, Tina and I have been arguing via email. Tina is not listening still. And and on and on, she is trying to defend herself -- yelling at me in capital letters, telling me that all is my fault. 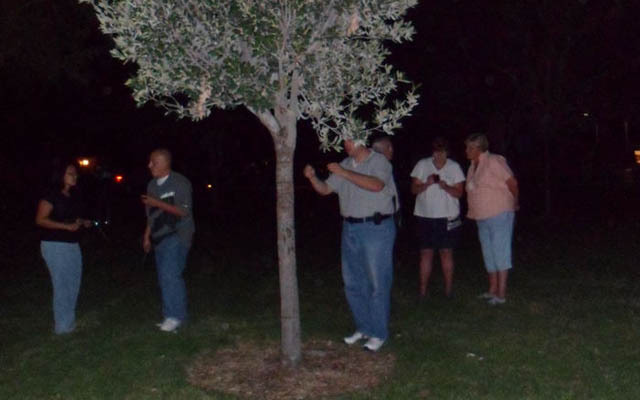 I absolutely cannot remommend the Haunted Las Vegas Tour due to its poor, unprofessional management. And, avoid events/tours organized by Tina. 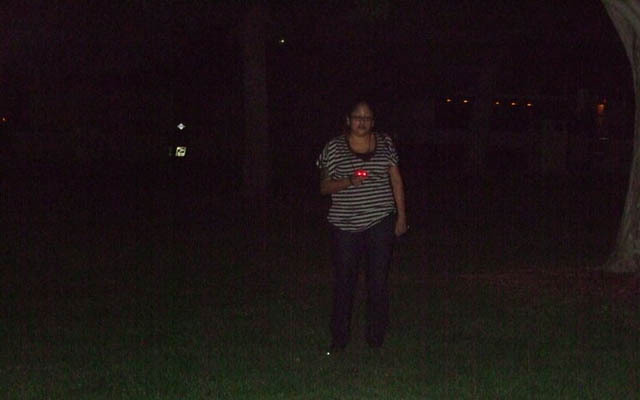 I just wanted to let everyone know that if you are looking for a scary and fun haunted tour, this is NOT it! It was actually quiet boring Im afraid. Myself and 2 of my friends, one who was on vacation with me and the other who lives in Vegas share the same opinion about this event. It was a lot of sitting and watching a video. At least if the bus could have been moving the whole time the video was on it wouldn't have been quite as bad. I understand that it is Vegas and you cant get on and off the bus at every stop but more than 2 times would be nice. Also, 2 hours is way to long to be sitting on a bus. Im hear to tell you that looking at something from miles away and being told a relatively unentertaining story about something that once happened there is hardly scary. So if you want a place to take an expensive nap on a bus then this is for you, if not, spend your money on something else. But remember, this is just one groups opinion.